My daughter doesn’t want to be seen as “bossy”. If you are a woman, think back to when you were in elementary or middle school. 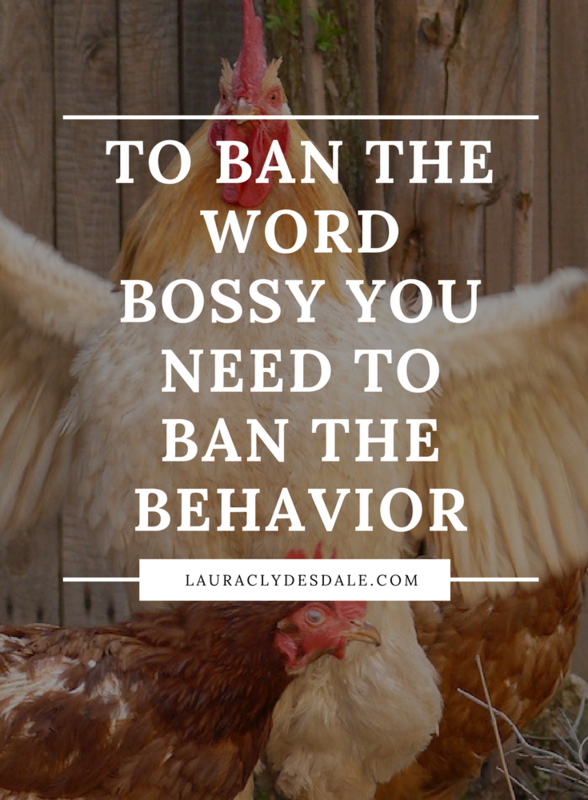 Did anyone ever call you bossy and how did you feel? Did you ever call someone bossy? This is one thing everyone seems to agree upon when it comes to why girls don’t want to be leaders. It has such a terribly negative connotation for girls. That’s why The Girl Scouts, in partnership with Sandberg’s LeanIn.org, have created a glitzy, star-studded, Ban Bossy campaign aimed at reducing the use of the word bossy. Their Change It Up! 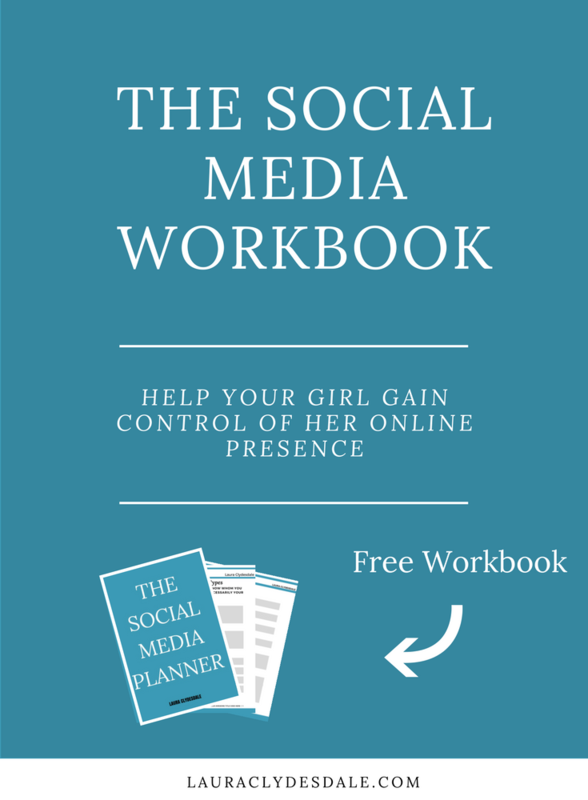 study found that girls’ intense desire to be liked is a major road block to their desire for leadership and they feel this negative word is particularly targeted toward girls and women. But is just the word “bossy” to blame? The study highlights that out of a list of specific factors, only the girls who tended more toward a “dominant” profile/identity wanted to lead. So, if they had a preference for control, giving orders, winning, doing better than others, leading came naturally. But wait a minute. I have a preference for control in my life and who likes to lose? Achievement can be a natural high whether it is against others or within yourself. No. Some of these descriptors aren’t necessarily negative. The late Harvard Psychologist David McClelland, who spent much of his career studying motivation and how it affects leadership behavior, said that the reason the word “dominance” keeps coming up in studies as a leadership trait, is because there are actually two different types of dominance: a personalized power motive, or power lust, and a socialized power motive, or the desire to lead. McClelland says that this type of leader draws strength from controlling others and making them feel weak. Seeking power as an end in itself is dangerous and can be destructive. On the other hand, the socialized power motive is a leader who uses power to achieve desired goals or vision. McClelland says that this leader’s strength comes from empowering people. Studies show that great, charismatic leaders are highly motivated by socialized power. They love developing networks, coalitions and gaining cooperation. I’m pretty sure that most girls would love to be leaders if they understood McClelland’s socialized power motive. But I wondered…do girls believe that every time they raise their hand, organize a game, or run for student council people think they have a personalized power motive? That they’re “bossy?”? Or…maybe girls (and boys) just don’t know any other leadership methods other than ordering people around, even if they really do have the group’s interest at heart? My daughter fed my fear. Schools are trying their best to incorporate more teamwork and collaboration into the school day, to better simulate the real world. Unfortunately, they are letting the kids figure out how to do this by themselves. It feels a little like a controlled Lord-of-the-Flies experiment to me. My guess is the kids who aren’t afraid to assert themselves will always volunteer, or just start running the show. They have a list of tasks to complete and many just start ordering people around. The other kids might perceive them as power hungry and maybe they are, but they don’t know any better. Kids who don’t want to be perceived as desiring power over people never put themselves forward. They never lead. Yes, yes and yes, but if we don’t model and teach all kids how to lead in the correct way, they are still going to order other kids around, no matter what you call it, and they’ll do it whether they are girls or boys. The pattern gets ingrained and perpetuates to adulthood. So why aren’t parents and schools teaching the difference between Personalized Power and Socialized Power? Bossy coworkers were actually described as unpopular and less successful whether they were women or men. So when girls and women lead effectively they are not called “bossy” and girls need to know that. Therefore, we need to teach girls and boys how to lead effectively. We need to teach girls and boys that there is a better way to lead other than just ordering people around. Schools absolutely need to take ownership here. Right now they are throwing the kids into the deep end of the pool to see if they can swim and, if they can’t, they might very well continue to struggle with bossy behavior for the rest of their lives. Ask more questions (that probe and clarify). Solicit input (from all members of a group). Learn team skills like brainstorming and weighing pros and cons. Practice active listening, such as paraphrasing and summarizing. And once everyone is trained, give everyone a chance to try it out...even the introverts. We need to teach girls not to be afraid of a word but instead to be afraid of certain actions. 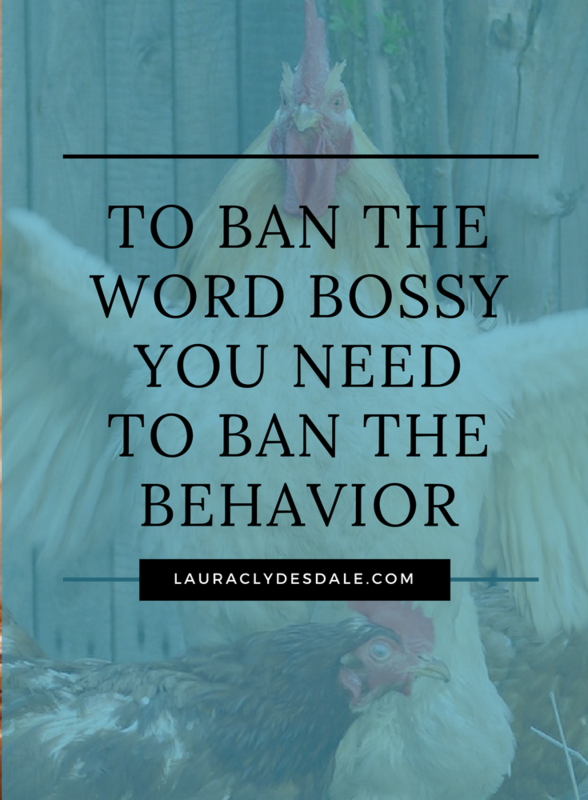 Banning the word bossy won’t do much until we ban the bossy behavior. Older PostThe Frightening Truth: Your Daughter Doesn't Want to be a Leader. How to Change Her Mind.